NORDO News - Aviation Unedited: What is the Most Difficult Part of Hosting the Fly-In? What is the Most Difficult Part of Hosting the Fly-In? Occasionally, people ask us, "What's the hardest part of hosting the fly-in?" Depending on the date, our answer has been different. Usually it is locating a food vendor, finding enough help, or keeping our sanity. Today though, we realized our responses have been wrong all along. What's the most difficult part of hosting the fly-in? Now that we've discovered the truth, it is hard to believe we didn't see it before. It may even relate to keeping our sanity. What is it? 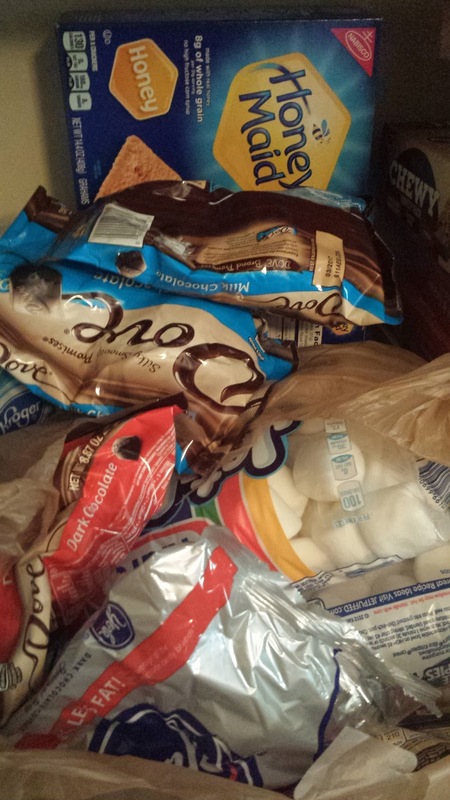 Having all the supplies to make s'mores sitting on the counter and not touching them until the fly-in. Refusing to partake in the digestive deconstruction of such wonderful treats is so difficult we believe we have discovered a universal truth. S'more ingredients bought too early will vanish without cause. Love your energetic site and enthusiasm. As we discussed on the phone itis necessary to take steps to assure our Grass StRips survive. the GRASS STRIP FOUNDATION, INC. Was created as a vessel to assure survival of a particular grass strip, Berg Park Aerodrome 9GA2, and presumed that an educational foundation would be difficult to make a 'bad guy' if attempts were made to close it. The purpose is to preserve vintage and general aviation and inform the general public about aviation. Aviation is a major player in out lives and the general public usually only hears about crashes. The Foundation is in need of donations to establish an Endowment Fund to provide enough revenue to assure continued maintenance of this, and possibly other , vintage grass airfields. Joining forces with other grass airstrips is a viable approach to assure continuance of the existence of true vintage aviation and the interest it generates in this most important portion of our lives and economy.